Serve sundaes "to-go" at your ice cream shop, bakery, carnival, party, or event with this Fabri-Kal Indulge DE5 5 oz. 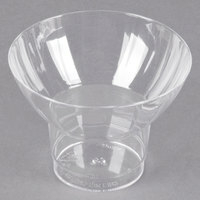 clear PET sundae cup! This Fabri-Kal Indulge DE5 5 oz. 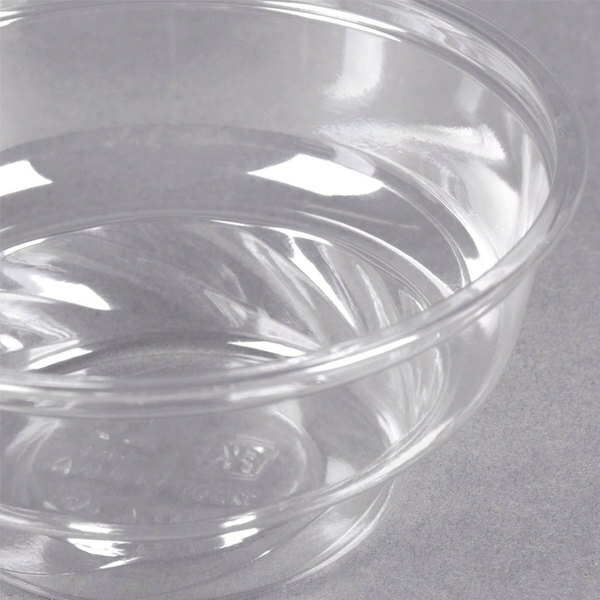 clear PET sundae cup is perfectly-portioned for individual servings of your signature sundaes. Whether you're serving a scoop of ice cream, fruit cocktail, or frozen yogurt, your patrons will be satisfied with the convenience and efficiency of these sundae cups. 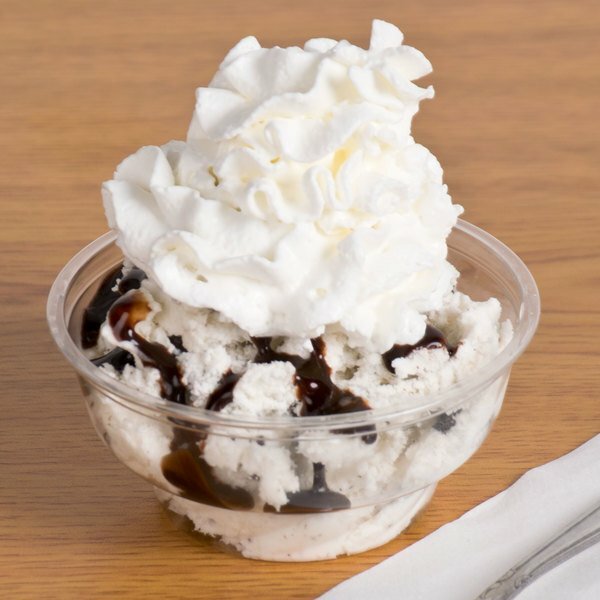 They have a heavy-walled construction and classic sundae shape for your top-selling desserts and frozen treats. Get creative and use them for mousse, parfaits, and much more! 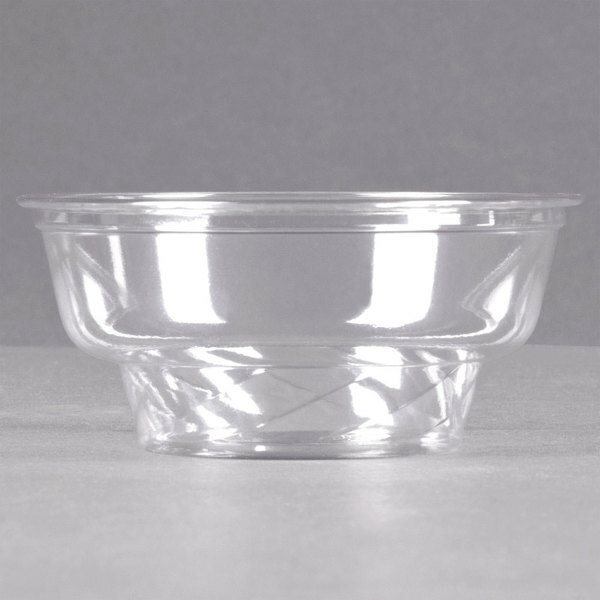 "We use these as our small ice cream cups, great value and easy to put a good amount of ice cream in and able to add topping with out spilling all over the place." This versatile, high-performance container is made from sturdy PET that contains a minimum of 20% post-consumer content. Disposable and convenient, it reduces use of virgin raw materials and the amount of refuse going into waste streams. 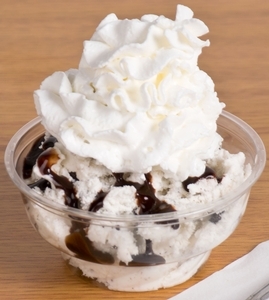 Since the entire sundae cup is clear, your customers will have complete visibility of their sweet treats! The heavy-walled construction ensures durability and dependability, making this cup a reliable option. The 5 oz. 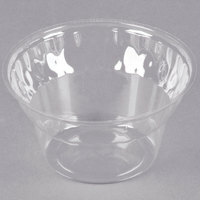 PET sundae cup makes an excellent addition to concession stands, stadiums, large venues, or carnival stands. They're also great for transporting sundae servings from place to place when used with a compatible lid (sold separately). This 5 oz. 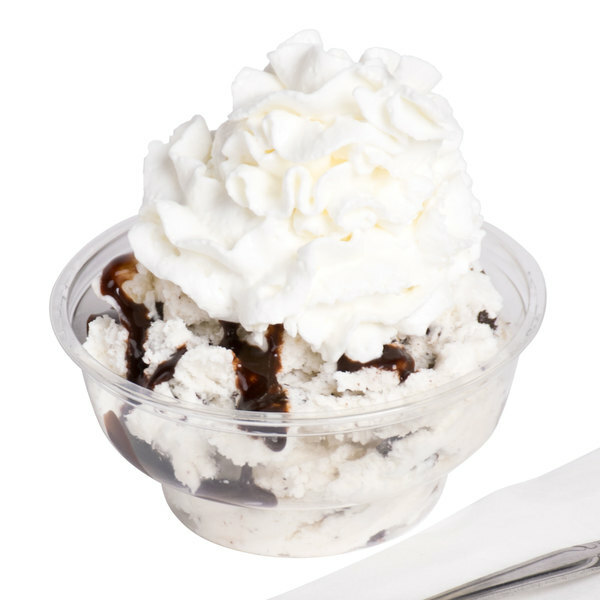 cup is perfect for our smaller size ice cream products including soft serves. They have held up well with toppings also. Great for children. These cups look great and are very sturdy. I use them to sell my soft serve custard and it looks great to be able to see the custard through the cup. BEst cup there is for many uses. It is more expensive but is a wider mouth so gives a much better presentation than a tall cup. These are perfect for one serving of my edible cookie dough, cupcakes, mini cookies, dog treats, frosting, mousse cups, sundaes, ice cream sundaes and much more. 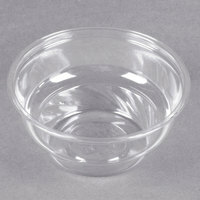 these are amazing cup we use to served our ice cream. so easy to use and it's just toss after were done. i would buy again. Can’t say enough about these sundae cups and their multiple uses! The plastic is very sturdy. Holds standard cupcakes extremely well due to the shape. Once the coordinating lid, sold separately, is snapped on, it seems airtight. Keeps our product fresh much longer than other packaging! The price can’t be beat either. 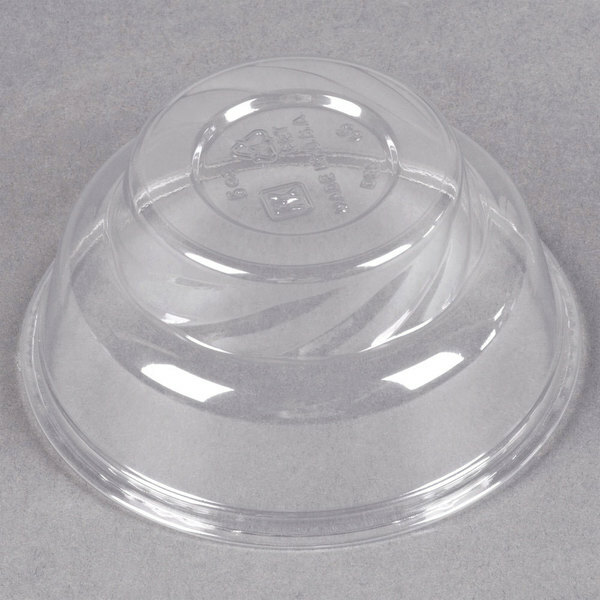 These are the best 5 oz sundae cups we have ever used at our ice cream shop & restaurant. Perfect for ice cream sundaes to go or to eat in. Very durable plastic and an amazing price point. Our preferred sundae cups. I bought these to use for cupcakes. They actually worked out great. You could use them for different desserts too. I also bought the lids, which were tall enough for a whipped cream swirl. Great quality at a great price. I use them for Italian Ice and the clear plastic display the vibrant colors perfectly. Holds two 5oz scoops perfectly. I have bought these exact five oz Sundae pups from three different places but webstauarant store has the unbeatable price. I will never order these from anywhere else. They ship in a couple days so when I need them in an emergency they are very reliable. I love these Sundae Cups! They are perfect for when I package 1 individual bath bomb cupcake or a soap cupcake. They fit snuggled in at the bottom, so it stays in place. I add a cupcake liner and use the dome lids topped with a ribbon to make them look extra cute! I find that they dont stay in place too well with shredded paper. 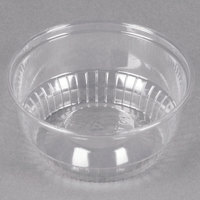 I used these along with the lids for cupcakes recently. They are a nice way to transport and serve individual cupcakes (or other treats). They are stackable as well. Is perfect for our homemade tiramisu product. This 5 oz. cup is amazing, our customers love it. It is great for our homemade bakery business. This is one of our most used containers, we use them to hold ice cream and little treats such as chocolate covered espresso beans and other candies. 5 oz. 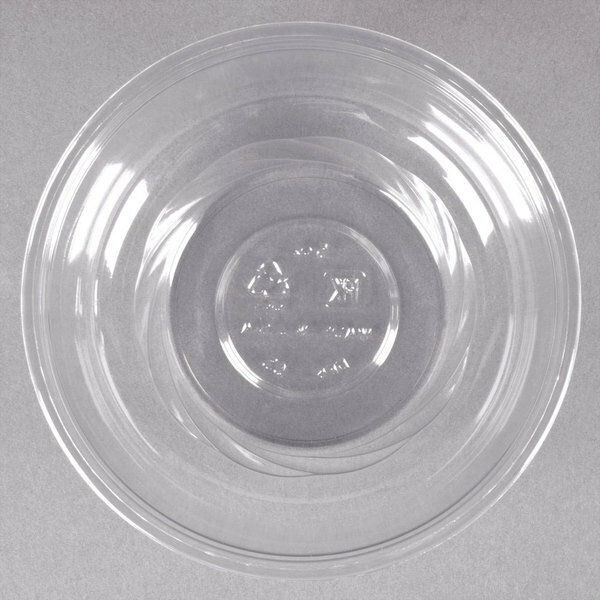 Clear PET Sundae Cup - 50/Pack #999ADC05 these look amazing on the bowls. make pretty little easy pick me up to go snacks. Great cups for our ice cream shop. 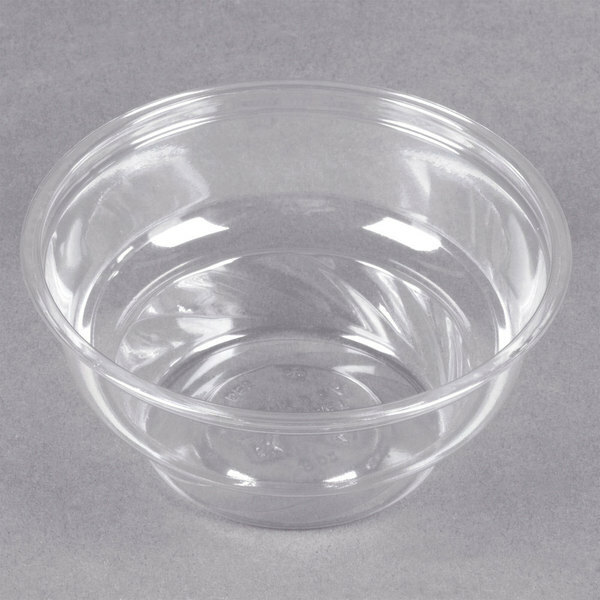 Very clear, high quality plastic, durable, and perfect size for a smaller portion of ice cream. Definitely a must for any ice cream shop! The best ice cream cups that we have found on the market. Better pricing than we are able to get from most local restaurant suppliers for much higher quality cup. Strong, sturdy, displays the product well, and is also recyclable.